Admiring your hard-work is important, but it’s equally important not to rest your laurels on past achievements. The knowledge you gained during your successful ventures will act as the supplies you need for your next trip up the mountain. Enjoy the victory, but never be satisfied. 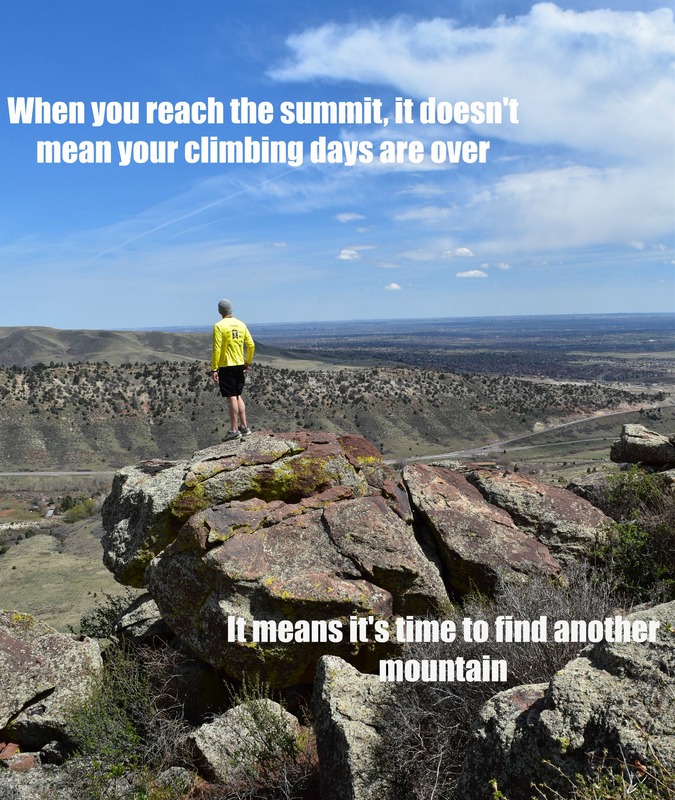 Adhering to a healthy, active lifestyle can be difficult for some people. Whether it be a lack of time or results, people have a hard time sticking to a regular exercise regime. One sure-fire way to maintain an active lifestyle is to set and achieve SMART goals. SMART is an acronym that refers to goals that are Specific, Measurable, Attainable, Realistic, and Timely. For example, some people may start an exercise program because they want to “look better” or “feel better.” Unfortunately these goals are neither measurable nor specific. A SMART goal for someone who wants to look or feel better could be “I want to go down two dress sizes in 8 weeks” or “I want to complete a 5k in the next 6 months.” These goals will provide the individual with the motivation needed to stick to their training program. Also, when they achieve their goal, the feeling of success will most likely inspire them to set another SMART goal and convert their exercise program into a lifestyle. Even though I adopted the active lifestyle years ago, I still set SMART goals for myself. Today actually, I will attempt to achieve a SMART goal when I have my first jiu-jitsu belt test. 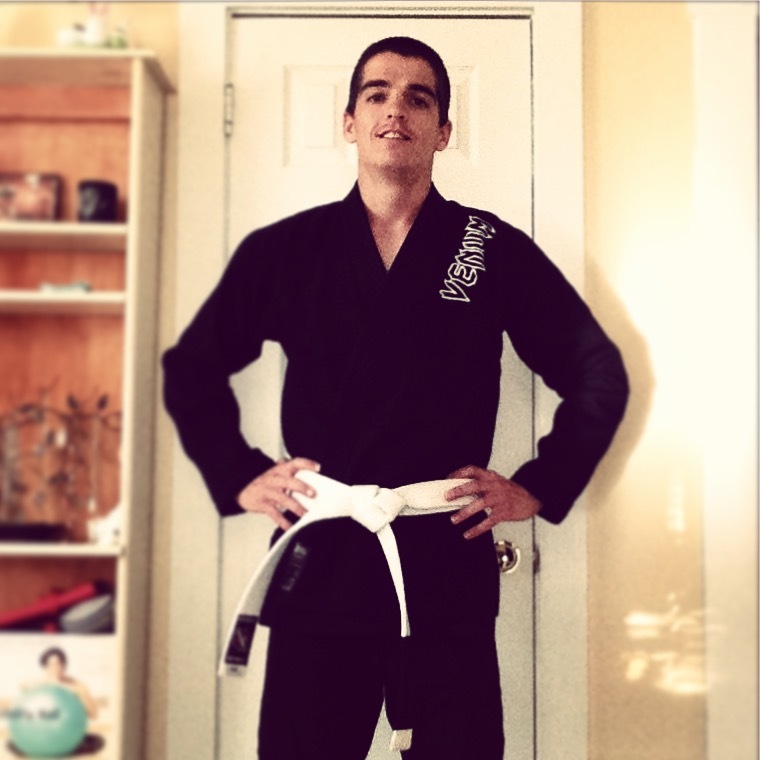 I have admired and enjoyed learning jiu-jitsu since I began my martial arts training over 8 years ago. I received great tutelage from several instructors over the years, but it was only recently that I began a formal training program at Gracie Tampa South. Even though I’ve trained and competed in jiu-jitsu previously, I wanted to start as a beginner to ensure that I learned every aspect of the martial art. Wish me luck and I’ll let you know soon if I achieved my goal or not. In the meantime, set some SMART goals for yourself and begin the journey to an active lifestyle. 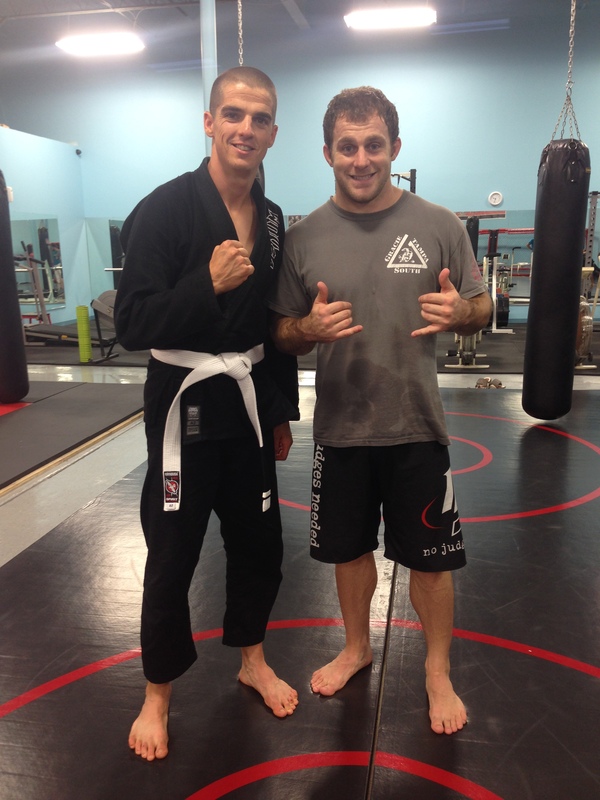 Monday night I found out that I passed my first Brazilian jiu-jitsu belt test. I received the first of what I hope to be many stripes on my belt and felt the satisfaction of accomplishing a personal goal. Thanks to my teacher Coach Josh, all the students in my class for helping me prepare for the test, and all my friends and family who wished me good luck. The time to enjoy this milestone has come and gone and I’m ready to get back to work to prepare for the next test.